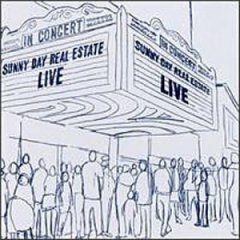 Sunny Day Real Estate was at first a three-member band, calling themselves "Empty Set", consisting of guitarist/vocalist Dan Hoerner, bassist Nate Mendel, and drummer William Goldsmith. When they added lead singer Jeremy Enigk, the band became an incredibly well-rounded group of artists. In true artist fashiion however, they were also strangely recluse when it came to publicity. They released only one official publicity photo for the press and allowed only one interview as a band. Following the release of their debut album in 1994, "Diary", Jeremy converted to Christianity. 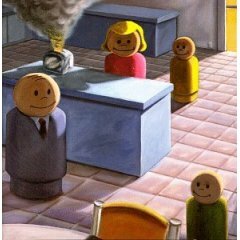 Soon after they released "Sunny Day Real Estate" or known on Sub Pop as "LP2", but usually called "The Pink Album"! They broke up In 1995 after some internal conflicts. Bassist Nate Mendel and drummer William Goldsmith soon joined the Foo Fighters. 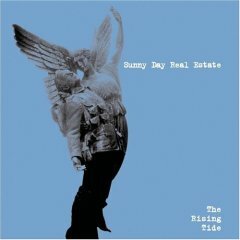 In 1997, Sunny Day Real Estate reunited without bassist Nate Mendel, who was eventually replaced by former Posies bassist Joe Skyward. It the fall of 1998, they release "How It Feels To Be Something On" featuring some incredible tracks including Pillars and The Prophet. A year later they released "Live" followed by their first album that was not released on Sub Pop. Instead it was on Time Bomb...which actually proved to be a bomb. 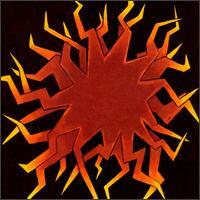 They endured poor distribution, a lack of a tour support and management trouble - and again called it quits in 2001. Lead vocalist, Enigk becomes born again and the band calls it quits following this release. Click To Buy It! Reuniting with Joe Skyward as the only change at bass, they put together a highly enlightened album. Click To Buy It! 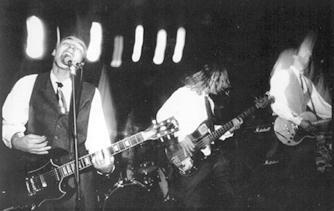 Live concert at the Breakroom in Seattle in May of 1999. Click To Buy It! The concert was filmed in May 1999 at the Breakroom in Seattle. Two music videos were added to the VHS. Click To Buy It! The only project not released on Sub Pop, proved to be a mistake with poor distribution and another break up. Click To Buy it!